Dutch anti-piracy group BREIN has scored a partial victory against Usenet provider Newsconnection. The Court of Appeal ruled that the company must ensure that it can identify potential infringers. Newsconnection is not required to implement the strict measures BREIN requested, but the court made it clear that pirates shouldn't be anonymous. 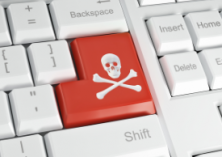 Dutch anti-piracy group BREIN has targeted pirates of all shapes and sizes over the past several years. It’s also one of the few groups to systematically track copyright infringers on Usenet, which still has millions of frequent users. BREIN sets its aim on prolific uploaders and other large-scale copyright infringers. After identifying its targets, it asks providers to reveal the personal details connected to the account. Not all providers are eager to hand over this information. This is also true for Newsconnection. The Usenet provider was previously ordered by a Dutch court to hand over the IP-addresses, payment information, name and email addresses of three of its users. However, the company appealed the verdict. Newsconnection argued that, among other things, it doesn’t have direct access to the users’ IP-addresses because it’s merely a reseller The company added that the relevant jurisprudence in this area doesn’t apply in this case, since the company operates as an intermediary. In a verdict issued this week, the Court of Appeal rejected these arguments. The Court stressed that it’s not impossible for the Usenet provider to get access to the information BREIN demands. For example, Newsconnection can request IP-addresses of suspected pirates from its hosting provider. If a hosting provider refuses to hand over this information, then the Usenet provider can find another hosting partner that’s more cooperative. Furthermore, the Court also states that, even though it’s a reseller, the Usenet provider must hand over the personal details it has on file for the alleged pirates BREIN identifies. This includes the user’s name and email address. There is also some good news for Newsconnection and its users. BREIN requested the Usenet provider to organize its administration in such a way that it can identify users more easily while keeping more detailed personal information. The Court of Appeal argued that this goes too far as it might potentially violate the privacy of innocent customers. The Court made it clear that Usenet users have a right to privacy. However, those who are suspected of copyright infringement can’t be anonymous. Tweakers highlights that the court specifically notes that BREIN’s rights to protect creators prevail over the anonymity of Usenet users. During the appeal, BREIN suggested several steps Newsconnection should take to verify the accuracy of user data. The Court argued that it’s not up to BREIN to decide what steps the provider should take, but agreed that Newsconnection must take measures to ensure that the personal information provided by its users is verified. “The intermediary must take measures to verify customer identity. BREIN cannot dictate what such measures are, the intermediary must decide that itself,” BREIN director Tim Kuik informs TorrentFreak. “Also, the intermediary cannot hide behind dependency on a third party that is unwilling to cooperate. They must secure cooperation contractually or find another business partner,” Kuik adds. TorrentFreak reached out to Newsconnection for a comment on the ruling but at the time of publication, we have yet to hear back.